Gualcarque river in Honduras, sacred for the indigenous community. Honduran environmental and indigenous rights defender Berta Cáceres, who was known internationally for opposing a major hydroelectric project, has been shot dead at her home. The murder of Cáceres has sent shockwaves throughout the world and once again highlights the dangers facing environmental campaigners in Latin America. According to UK-based NGO Global Witness, which worked with Caceres, the director of the Civic Council of Popular and Indigenous People of Honduras (COPINH in the Spanish acronym), was gunned down as she slept in the eastern city of Esperanza on the evening of March 2. Cáceres became well-known internationally for protesting against the impacts of the proposed Agua Zarca dam project on the country’s indigenous communities. Her campaigning landed her the 2015 Goldman Environment Prize. On receiving the award, Cáceres spoke of constant sexual harassment and surviving numerous kidnap attempts and threats on her life. “They follow me. They threaten to kill me, including kidnapping me. They threaten my family. This is what we face,” Cáceres said. Since 2013, three of her COPINH colleagues have been killed for opposing Agua Zarca. Global Witness said intimidation towards Cáceres had increased significantly in recent months after work had resumed on the Agua Zarca project. Operations ground to a halt last year as a result of the peaceful protests she organised. Cáceres’ death highlights the systematic persecution and vulnerability of indigenous and environmental rights defenders in Honduras, Global Witness said in a press release. The organization urged the Honduran government to urgently begin investigations into her murder. The Agua Zarca hydroelectric project is situated on the Gualcarque River, which passes through indigenous Lenca territory in north-western Honduras and which is considered sacred by its people. As such, Agua Zarca continues to be a source of conflict between local people, national and multinational business, and paramilitary interests. 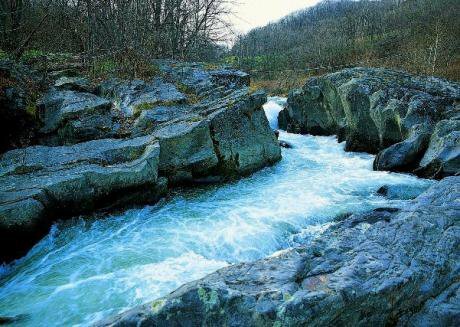 The project is managed by Honduran company Desarrollos Energéticos S.A de C.V (or DESA) and will reorient the flow of the Gualcarque, a tributary of the Ulúa River, reconnecting it some 3 kilometres downstream. The project, which will generate 21.3 MW, was originally set to be constructed by Chinese contractor Sinohydro before it pulled out of the deal in 2013 due to operational interruptions. Aureliano Molina, a member of COPINH and close colleague of Cáceres, told Diálogo Chino the use of the river to generate energy is “illegal and illegitimate” since privatising it violates both the Constitution of the Republic and the rights of indigenous people. The process of free, prior and informed consultation has not progressed,” Molina told Diálogo Chino via telephone from the United States. Molina adds that while rights were not protected, the climate of fear among leaders and activists intensified. “The community is terrified,” Molina said, and claims that the army has tried to displace the communities affected by the Agua Zarca project a total of eight times. Molina characterised the army’s behaviour as “arrogant, hostile, racist and oppressive”. During the 2009 political crisis which followed the ousting of former Honduran president Manuel Zelaya, the National Congress approved the General Water Law, which granted new concessions for water resources, such as Decree 233 which repealed all previous decrees prohibiting hydroelectric projects in protected areas. Licences for the construction of 300 hydroelectric projects have now been approved. Some 17 projects were approved in indigenous Lenca territory. In 2012, DESA received US$24.4 million loan from the Central American Bank for Economic Integration. DESA then contracted Sinohydro – which was accused by local communities of encroaching on their lands without prior consultation. Growing tensions and the expulsion of more than 80 Chinese engineers led Sinohydro to terminate the contract a year later. At present there is little clarity on the future of the construction of Agua Zarca. DESA’s official website reporteds that actual progress of the works is around 15 percent complete. In a public statement, DESA indicates that it “aims to take advantage of hydroelectric resources in Honduras, generating clean and renewable energy through the construction of hydroelectric plants and related works”. The company maintains that “it has always been concerned about environmental protection and, therefore, all operating and maintenance practices follow strict regulations in harmony with nature”. According to a Global Witness report, Honduras is the most dangerous country in the world for environmental activists. Between 2002 and 2014, there were 111 murders in Honduras. There were 12 deaths in 2014 alone. “In both Honduras and the rest of the world, there are environmentalists who are shot dead in broad daylight, kidnapped, threatened or tried for terrorism because of their opposition to what is known as ‘development’”, said Billy Kyte, a campaigner at Global Witness. According to Kyte, the “true perpetrators of these crimes” include a powerful web of business and government interests which “enjoy total impunity”. At the time of her death, an unanswered charge of illegal possession of a fire arm was held against Cáceres. Another action, brought by DESA against her, Molina and another colleague for alleged “coercion, usurpation and continuous damage” is still pending. In May 2014, Lenca leader Jacobo Rodríguez, also a defender of the Gualcarque River, was killed and in October, COPINH and Rio Blanco (White River) community member Maycol Ariel Rodríguez García was murdered. The crimes remain unpunished, Global Witness claims. Molina is concerned that reviving the Agua Zarca project will continue to generate conflict. “The concession is still valid and may be activated at any time. There is a risk that the project may continue, but the communities will not let it pass,” he declared. But despite Cáceres’ murder, Molina says he will not back down. “We have taken the responsibility for advancing the struggle in the emancipation of indigenous people. We are committed to return to Honduras to strengthen our fight. It is a moral, ethical and worthwhile commitment to honour what our ancestors left us,” he said. This article was published by the first time by Dialogo Chino.